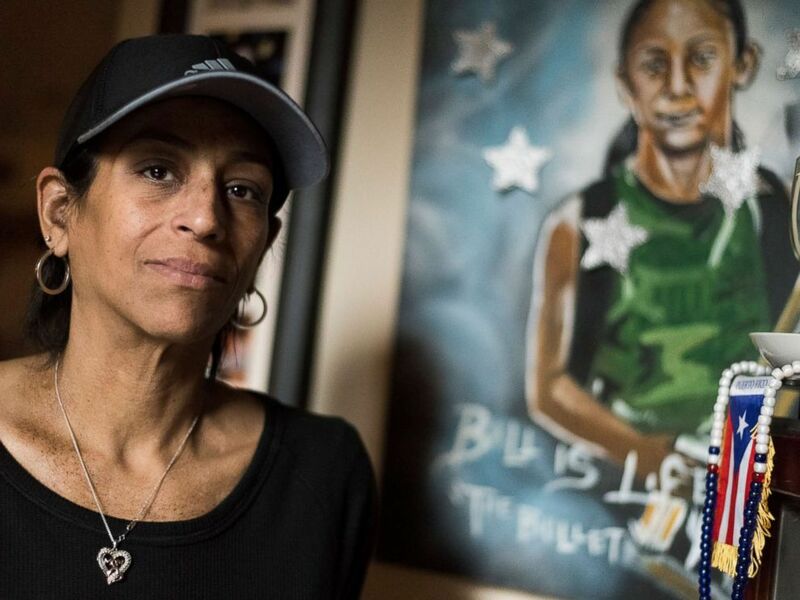 A Long Island mother whose teenage daughter was allegedly killed by MS-13 gang members died after she was hit by a vehicle just before a memorial for her daughter. Evelyn Rodriguez was struck by an SUV about 4:10 p.m. Friday on Ray Court Street near Stahley Street in Brentwood, where her daughter Kayla Cuevas, 16, and her friend Nisa Mickens, 15, were found dead, according to the Suffolk County Police Department. Cuevas' body was found beaten and slashed the same day two years ago. Before the incident, police said Rodriguez was involved in a dispute on Ray Court Street with a driver of a 2016 Nissan Rouge regarding the placement of a memorial dedicated to her daughter and her daughter’s friend, who were both killed near the location. During the argument, the driver, who has a relative who lives on Ray Court, attempted to leave the scene and her vehicle struck Rodriguez, police said. Rodriguez, 50, of Brentwood, was transported to Southside Hospital in Bay Shore, where she was pronounced dead, police said. Evelyn Rodriguez poses for a portrait near a memorial for her murdered daughter, Kayla Cuevas, in Brentwood, NY, Feb. 16, 2018. Police have not revealed the identity of the driver, who has not been charged. The Nissan was impounded for a safety check. Law enforcement officials were still investigating the incident Saturday, though the driver's motive was not immediately clear. Long Island has been increasingly plagued by gang violence. President Trump and Attorney General Jeff Sessions on separate occasions have visited Long Island to discuss combatting gangs. Rodriguez became an advocate for crime prevention after Cuevas and Mickens were killed, allegedly by members of MS-13. Mickens’ body was spotted by a passing motorist on Stahley Street near in Brentwood in September 2016; Cuevas' body was discovered the following day only a few hundred feet where Mickens’s body was found. More than a dozen members of MS-13 were arrested in March 2017 in New York on federal charge in connection to the brutal killing of the two girls. "The murders, particularly of these two girls, young ladies, were particularly heinous," Robert Capers, the United States Attorney for the Eastern District of New York, said at a news conference at the time. 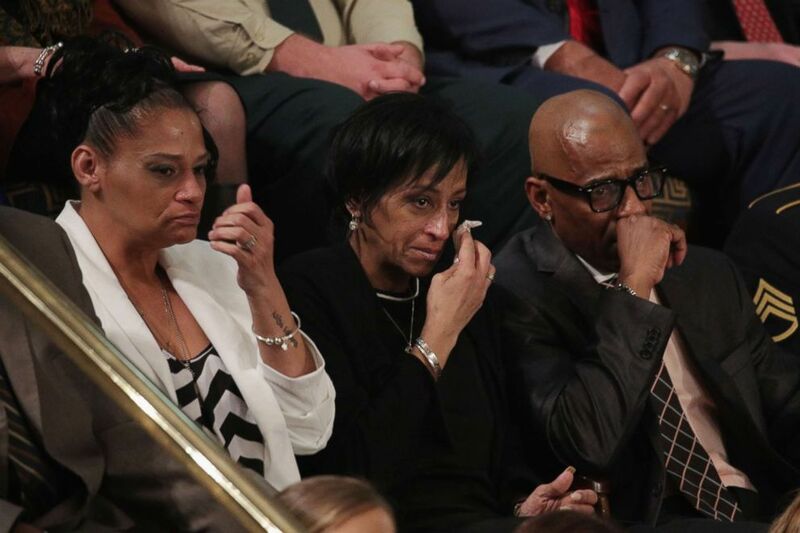 Elizabeth Alvarado, Evelyn Rodriguez, and Freddy Cuevas, parents of children who were murdered by MS-13, watch as President Donald Trump delivers the State of the Union address, Jan. 30, 2018, in Washington, DC. Rodriguez got the attention of Trump, who invited her to his State of the Union address earlier this year. After Rodriguez's death, Trump tweeted on Friday about her death. “My thoughts and prayers are with Evelyn Rodriguez this evening, along with her family and friends,” he tweeted. New York Gov. Andrew Cuomo also released a statement offering condolences. "Tonight, the family of New York mourns the tragic loss of Evelyn Rodriguez - the brave mother of Kayla Cuevas who was senselessly slain by violent MS-13 gang members and found in Brentwood two years ago,” Cuomo said in the statement. Suffolk County police detectives are asking for the public's help to solve the crime. Cuomo said he has directed the state police to assist and provide resources to local police to investigate the case.